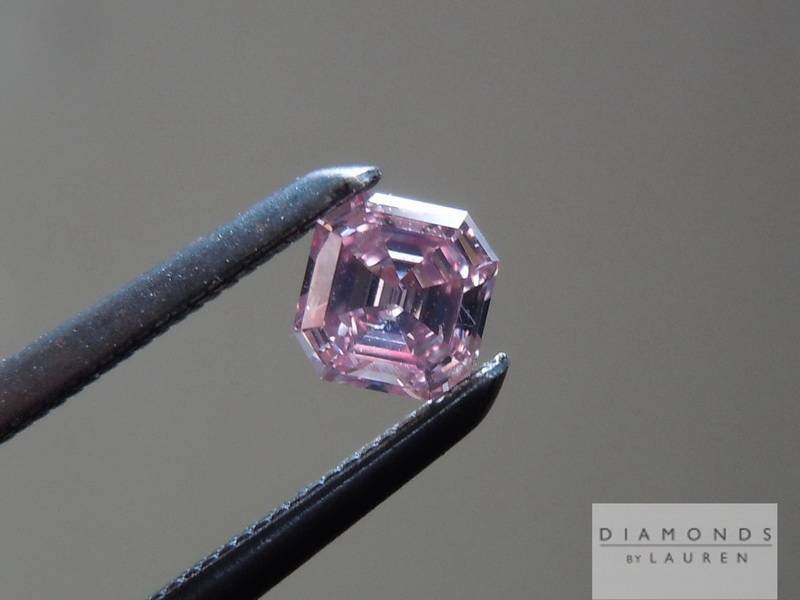 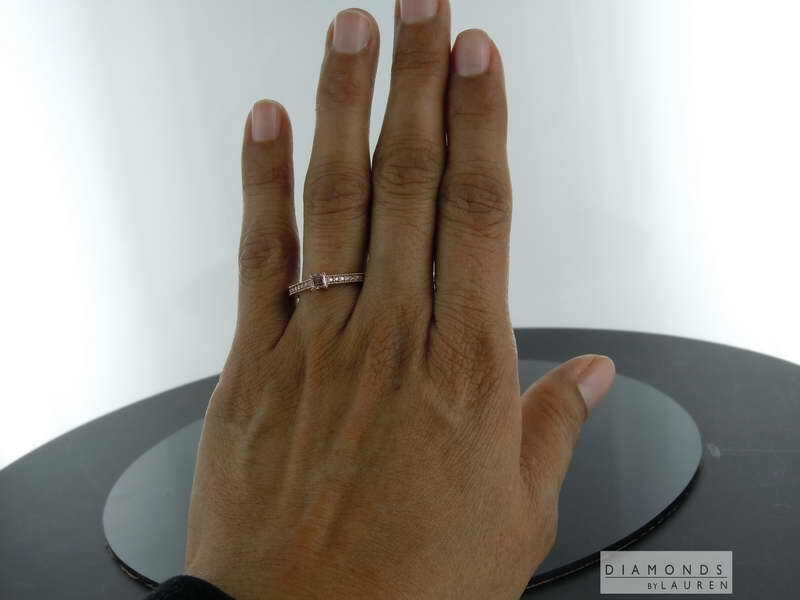 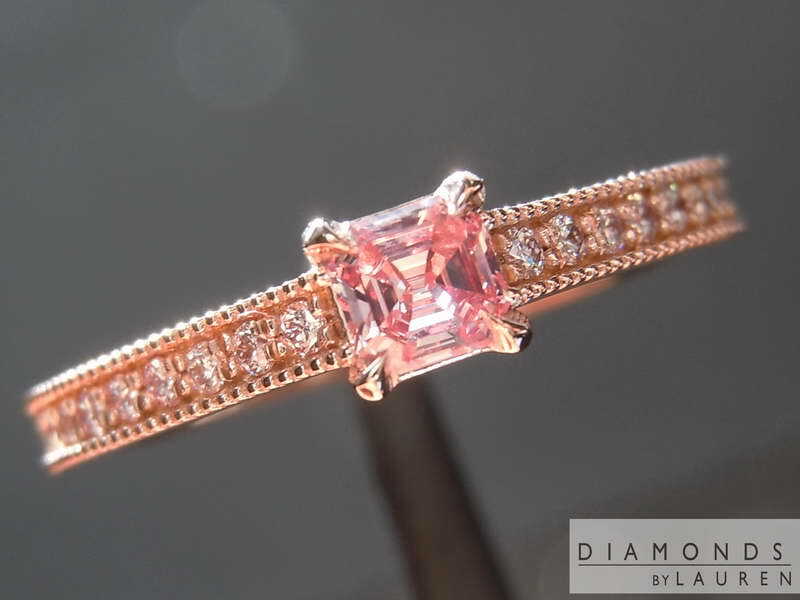 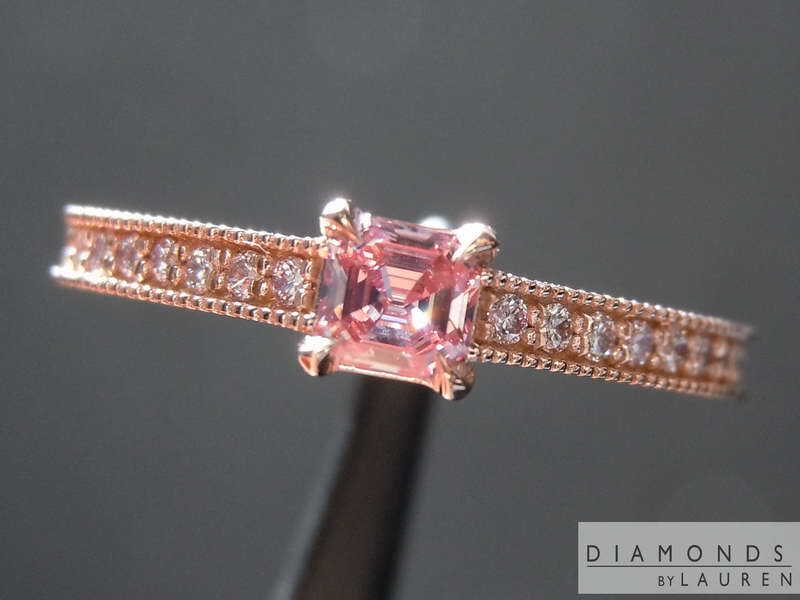 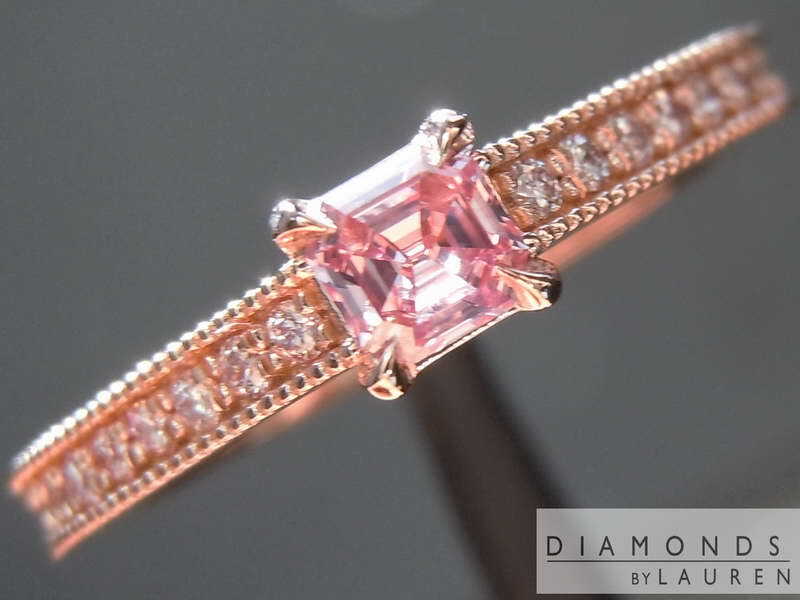 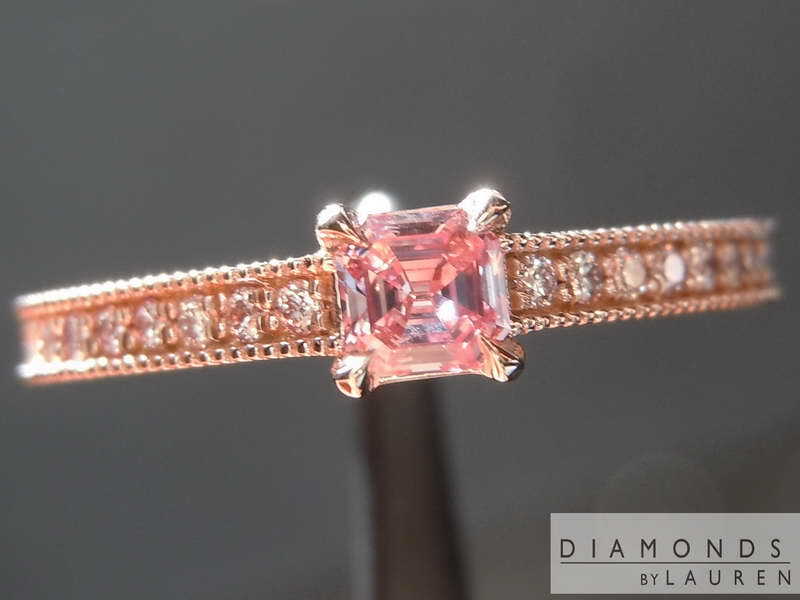 If you are looking for a pink diamond ring, then look no further! 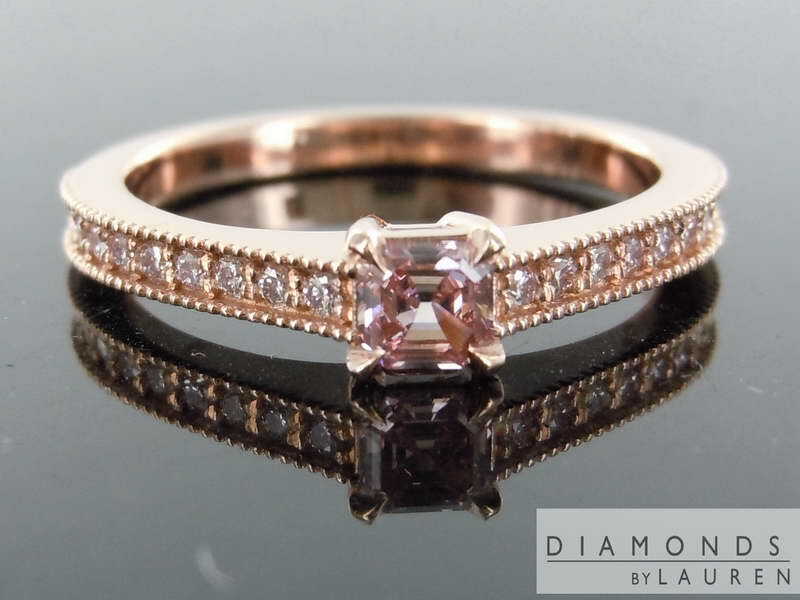 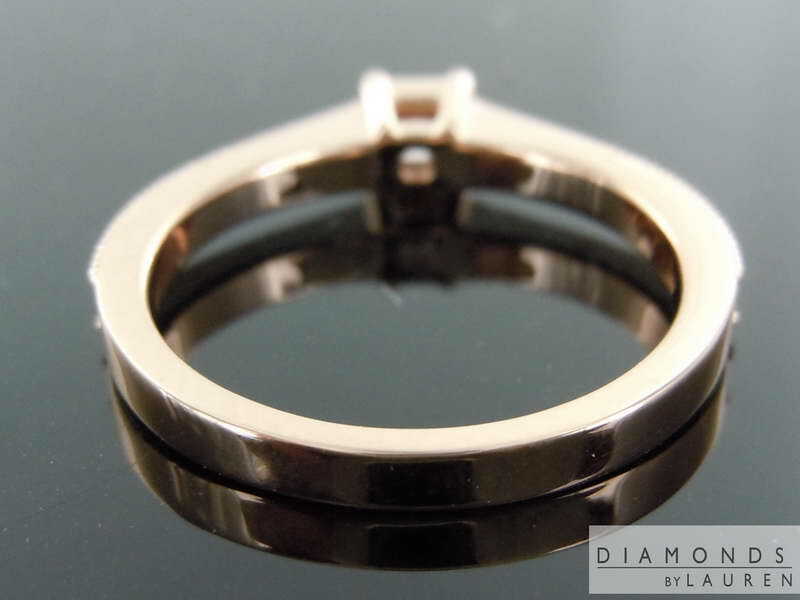 Set entirely in rose gold, we used some of the best cut pink diamonds for the shank. 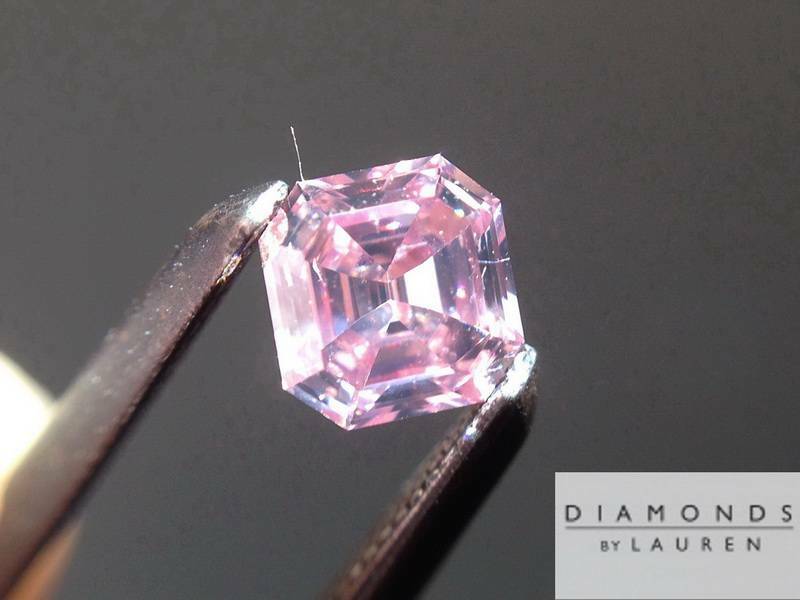 The asscher really shines in this setting. 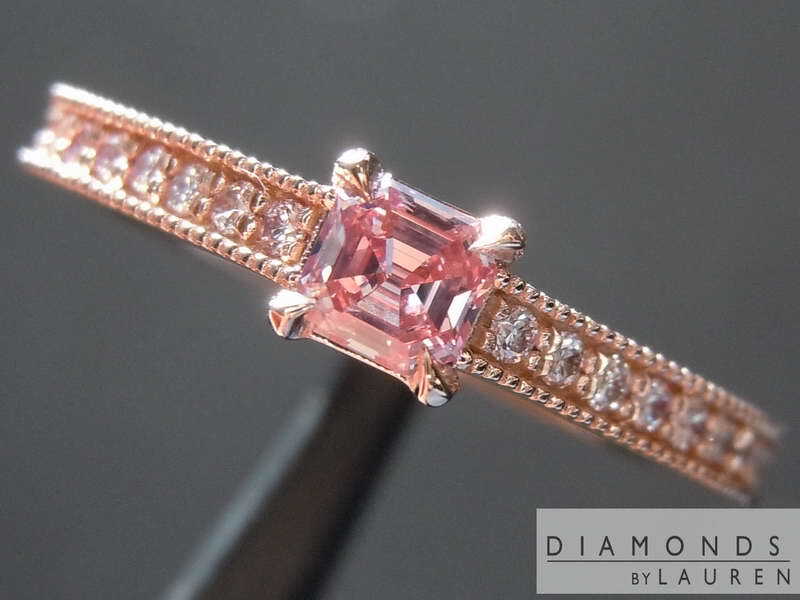 Man what a color! 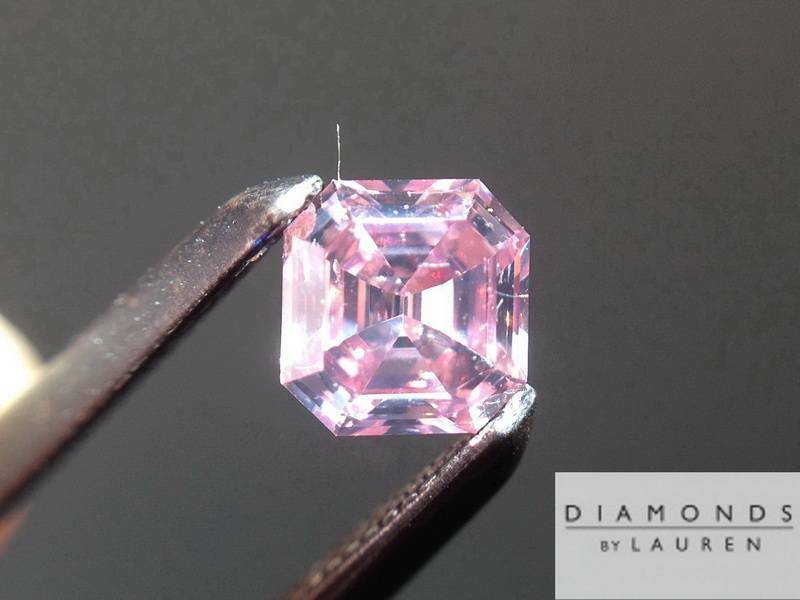 It's a small diamond - but it really packs a punch. 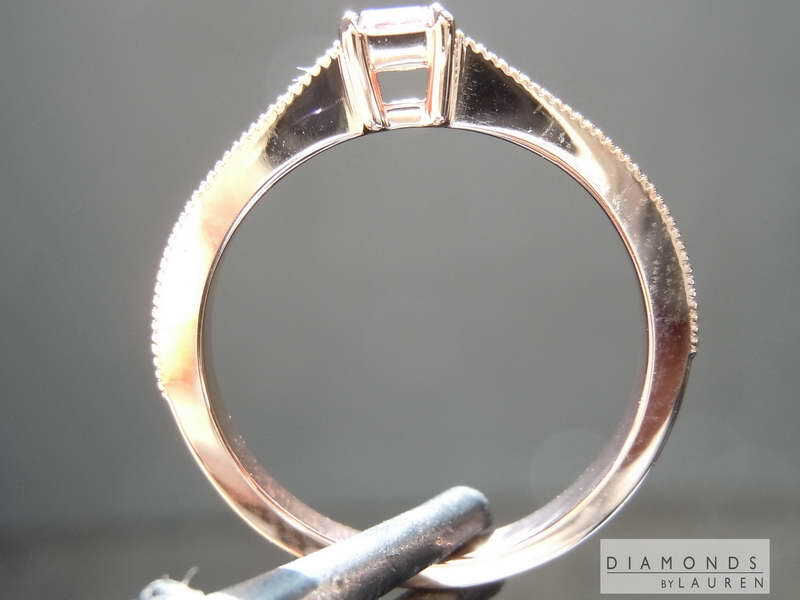 The GIA report is for color only, I have graded the diamond SI2, but it's an eye clean SI2 - with a white imperfection in the corner, even hard to see in these ultra close up photos. 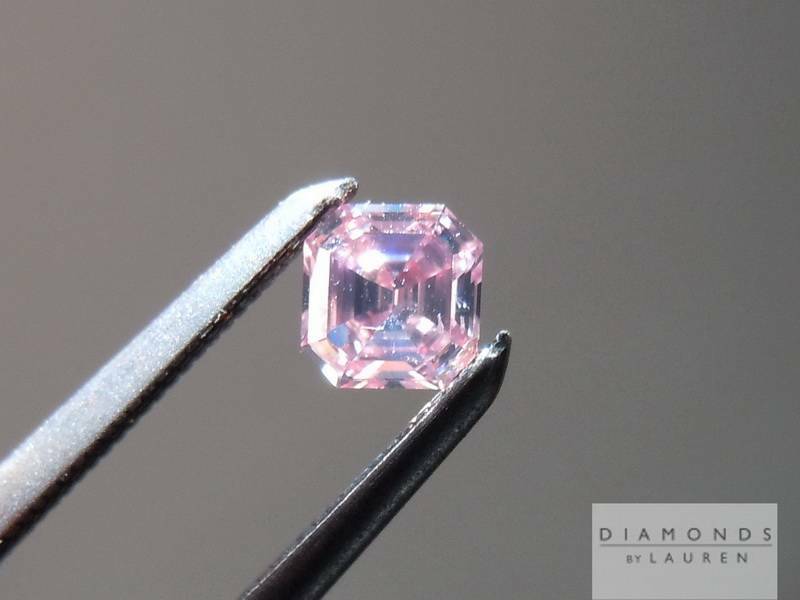 I can see some evidence of the Fluorescence in some of the photos, but it's not pervasive- no big effect on color or brilliance. 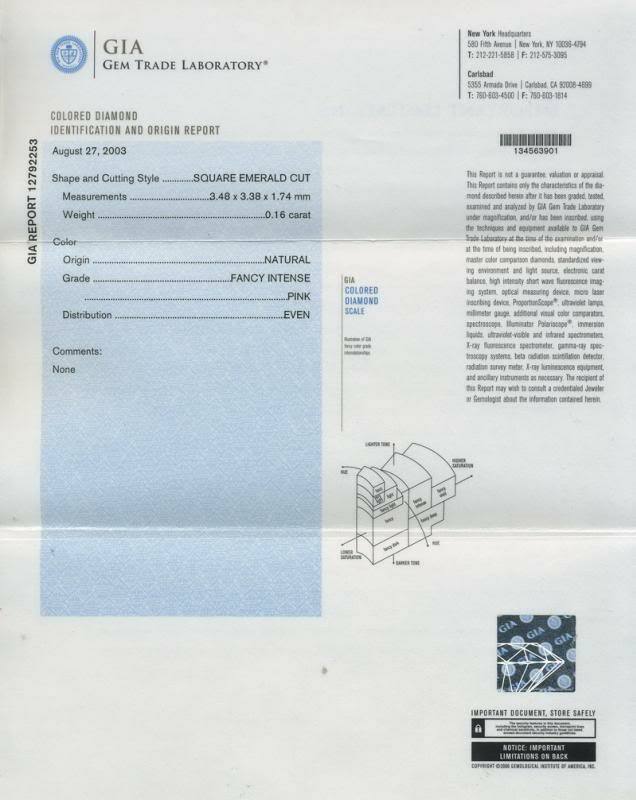 Amazing cut if you love Asschers.